Bottom Shelf Books: Miss Nelson Is Missing! Miss Nelson is an idealistic, good-hearted teacher who has lost control of her classroom. The kids are running wild and do not respect her blonde-haired authority. One day Miss Nelson goes missing and is replaced by a mean substitute teacher, Viola Swamp. With her black hair, white make-up, and black dress, she obviously means trouble. After a few days of the Miss Swamp's authoritarian teaching style, the kids are pining for the good ol' days of kind Miss Nelson. Little do they know, Viola Swamp is Miss Nelson disguising herself in order to teach the kids a lesson. This is a fun book for teachers, because everyone who has spent time in the classroom has been tempted to pull a Viola Swamp Swap. But beware... it doesn't always work out as planned. For some reason, when I tried coming into school with a black dress and make-up, I failed to strike fear into the hearts of my students. Maybe I chose the wrong length heel? Note: The transformation from good to bad by switching to black hair and black clothing is a common narrative device. The most recent instance of this is Spiderman 3. 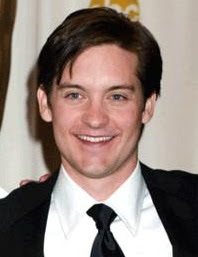 Peter Parker, loveable All-American boy, gets infected by an evil alien substance and his dark side begins to emerge. How do we know this? Easy. Peter Parker's every day appearance begins to change... he starts wearing all black, his hair starts to grow long and cascade down his forehead... before we know it, Peter Parker he has gone Emo on us. Bad news. Daaaaaamn! There hasn't been a clash of the titans like this since the 1993 Bethesda Math-lympics! You know something's off when even I feel like I'd have a decent shot at beating up both of the characters in a fight scene. What this proves once again is that comics are an industry of nerds, by nerds, and for nerds... to give them hope that they too can be a badass superhero and get the girl. And seeing as how I'm going to shell out $10 to watch their movie, I guess the Nerd Empire is winning this round and flexing its scrawny muscle. I (being a dork and not a nerd) am deeply disturbed by this. As you should be. Unless you're a nerd, in which case, give me your lunch money. LOL, i love this one. Reading your blog is so much fun because it takes me back to elementary school. I feel like I'm sitting on the classroom rug floor again listening to the story. I remember this book, and thinking it was so funny as a kid. I love your insight and parallels to "adult" entertainment. This would be a perfect book for my sister, she often has trouble getting respect from her college students, as she is pettie like I am, and most of them most likely hover over her like a lamp post. I think we all have days when we wish people would appreciate that we aren't as bad as we could be, funny. Well, I was just on my way out of work when I decided to stop by your blog, and I found myself mindlessly smiling from ear to ear reading this one. thanks. I haven't looked at the rest of your blog yet, but I hope you have some Amelia Bedelia critiques. i agree with chau. this one gets the lol seal as well.